Italian coffee company, Lavazza is teaming up with Vespa to provide capital dwellers with their caffeine fix during the final days of London Fashion Week (LFW), which takes place from 18-22 September. In a bid to ensure that those who can’t attend LFW experience a slice of the action, Lavazza will be sending brand representatives out onto the streets of Soho on customised Vespa scooters. From 21-22 September, members of the public will be able to sample LFW's signature serve – the Lavazza Coconut Cappuccino, which is made using coconut milk from event sponsor Alpro, as well as other beverages from the scooters. The scooters will delivering the free cups of coffee to anyone who Tweets or Instagrams @LavazzaUK along with the hashtag #LFWLAVAZZA. People are also being encouraged to upload a picture of themselves with their free coffee and include the aforementioned hashtag to be entered into a draw to win a coffee machine. Agency Amplify devised the coffee delivery service, and will be promoting it on 18 September by delivering cupcakes and postcards to businesses around Soho. 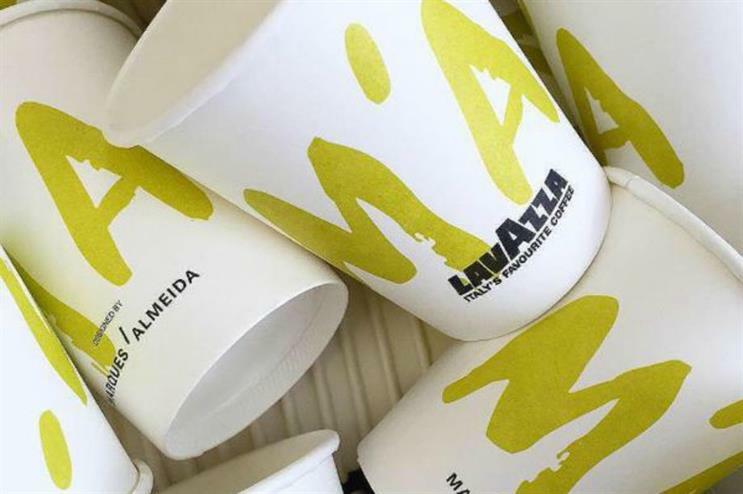 Lavazza is also partnering with London-based womenswear designer, Marques Almeida to create bespoke limited edition Lavazza coffee cups for LFW. As the official coffee of London Fashion Week, Lavazza will have a presence at 13 locations throughout the five days. These include the Hix pop-up café in the new Brewer Street Car Park venue, as well as a temporary café on Golden Square. Yesterday the BFC announced details of the activity from brands including Toni & Guy and Maybelline New York.